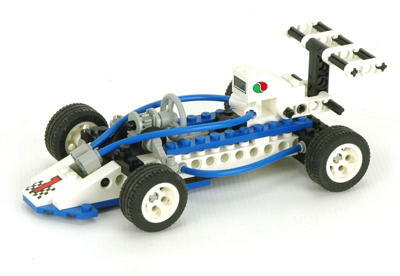 This little F1 racer, released in 1997, had an unusual blue and white color scheme with flowing lines created with flexible tubing. 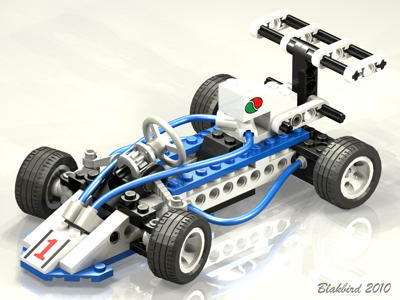 Its sole function is front rack and pinion steering. Unlike many other Tech Play sets, it does not have a seat for a Technic figure although one can be made to fit. 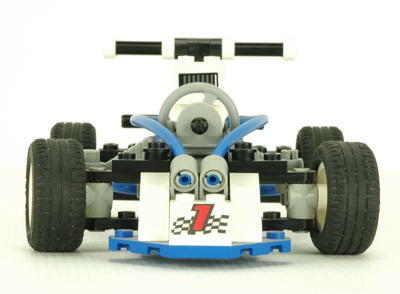 The stickers in this set feature the familiar Octan racing logo. 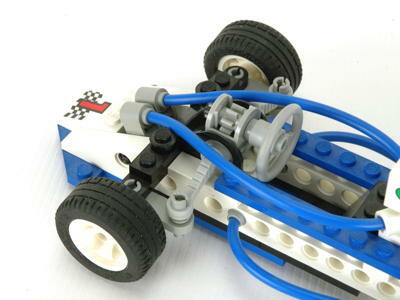 The model does not have any kind of suspension. 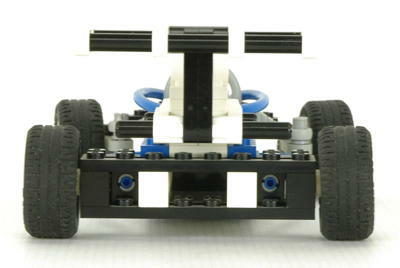 The front wheels can be steered using a wheel at the driver's position. 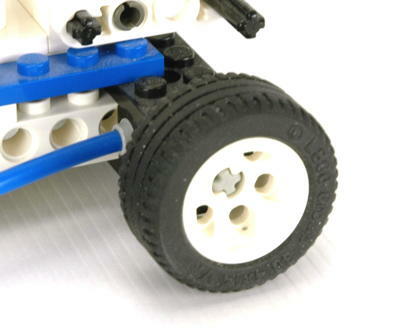 The wheel drives an axle connected to a 8 tooth pinion gear. The gear drives a flexible rack. 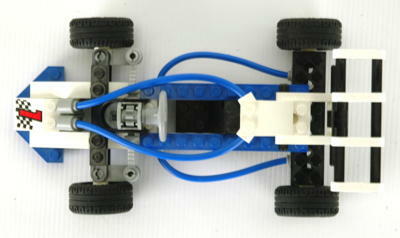 The steering mechanism itself uses steering arms and toothed links. 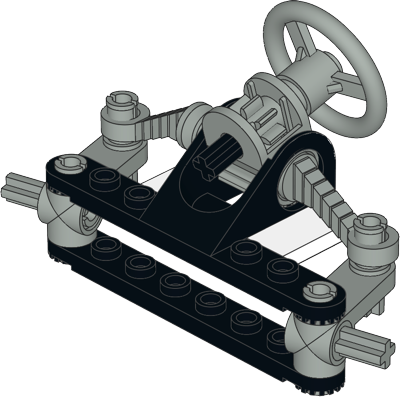 This model effectively has tilt steering since the angle of the steering column can be changed. 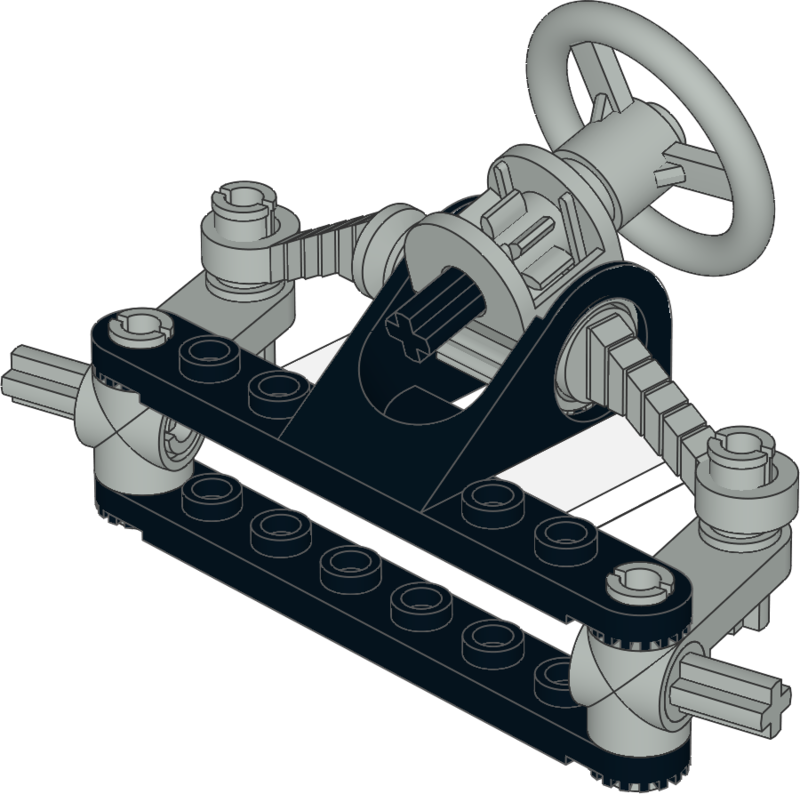 The steering wheel is accurately placed to allow the driver figure to grasp it with both hands from the seat. This set uses 4 of the white 30.4x14 VR wheels and tires.